As runners, our stride is our identity. We use it millions of times in a race, and if you’ve ever watched the top runners in various races, they all have various unique things going on while still revolving around a similar theme. On steep, high mountain trails it’s short and fast foot steps to stay in the control on the terrain. On flat trails and roads it’s a long and fluid stride to take advantage of the open and gradual terrain. I’ve been proud of my marked improvements in mountain running, but on Saturday, those improvements were evident in a loss of talent in road running. 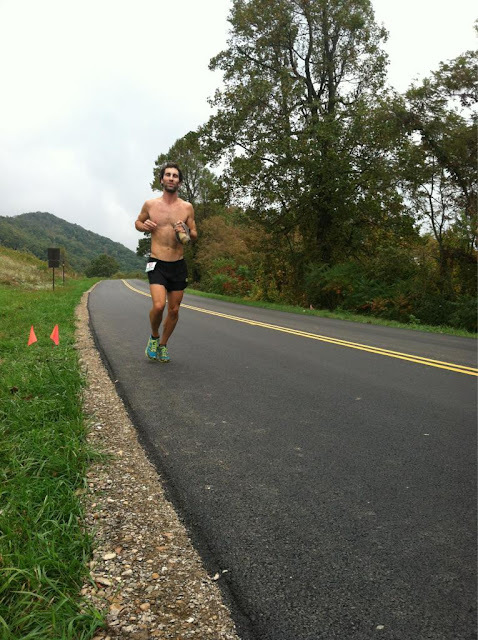 The Ultra Race of Champions is an event put on by RD’s Gil and Francesca of Charlottesville, VA. The concept is that a competitive 100k race with a mix of road and trails can help define a champion in the sport in a well-rounded way. When I signed on, I thought of the race being a good opportunity to brush up on my speed for The North Face 50 miler in December in Marin. I’ve felt like I’ve lacked the speed for the past two years at that race, and thought UROC might be a good race to build confidence or inspire more training. The latter turned out to be true. At 7:00AM we started off down a technical double track. The taper over the past 10 days had made me eager to get out and run and I worked my way to the front and enjoyed galloping down the steep, wet, and technical trail with ease. The lead pack of 15 guys got confused at the un-marked turn around and finally we ran into a volunteer who told us to turn around. Dave Mackey and Dave James held everyone together to have an official restart back up the hill to make things fair. We started back up the hill and I settled into a jog back up to the top of Wintergreen. That was the last I’d see of the front for the day. I remembered the transition from roads to trails at American River 50 mile was a tough shift a few years ago, but today my biggest challenge was just running on roads in general after 10 miles of pavement. My intuition was to open my stride and extend my back swing like a normal road runner, but this strained my tight hamstrings and hip abductors. I felt like I was wrapped up in rubber bands keeping my stride short and that any effort to open it up was extremely labored. When it was all said and done it took me 10:01 to run 62 miles with 7,000ft of gain. My Miwok 100k time (62 miles, 10,000ft of gain) from a three years ago is 40 minutes faster, and so was Scott Jaime’s. The point of all this is that becoming a good mountain runner can also make you a slower road runner. Impossible as it may seem, the lack of hills made me run slower yesterday. The best analogy I can use to describe this is a plane racing a sports car on the ground for several miles. The plane needs to take off to achieve it’s maximum speed. If it’s required to stay on the ground it will handle poorly and the sports car will out run it. I was the awkward plane taxing around Blue Ridge Parkway on Saturday. 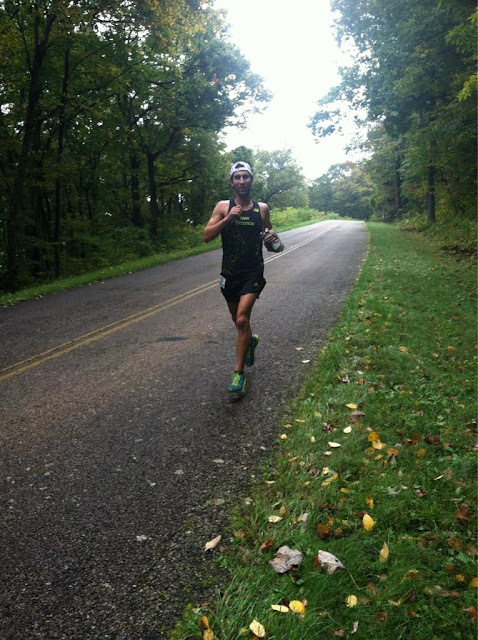 3) If you can’t bring yourself to mimic the elevation profile for a race, you probably shouldn’t run it. I think your 3 takeaways describe TK's demise at LT100. "Did I mention we're also slow learners?" Are those 890v2's? Curious to see what you think about them!